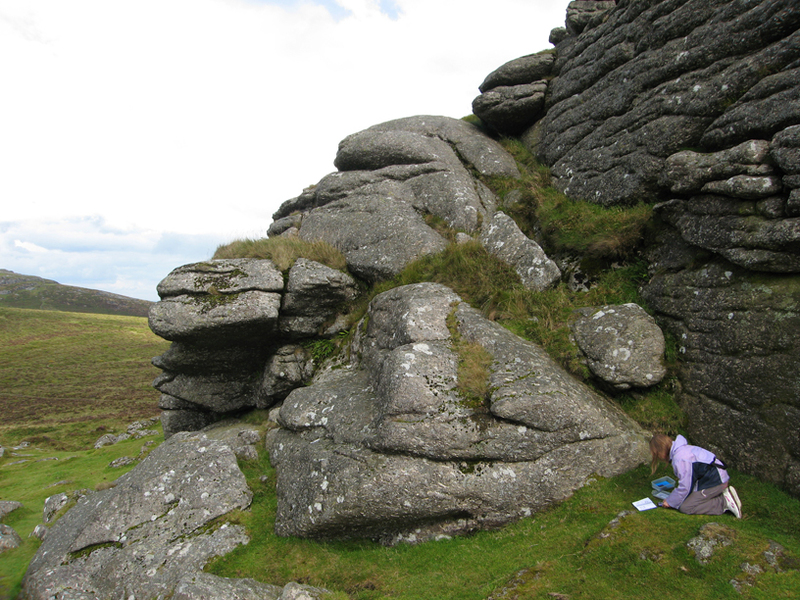 Dartmoor covers nearly 400 square miles, and has a large number of tors (high spots with heavily jointed granite outcrops). 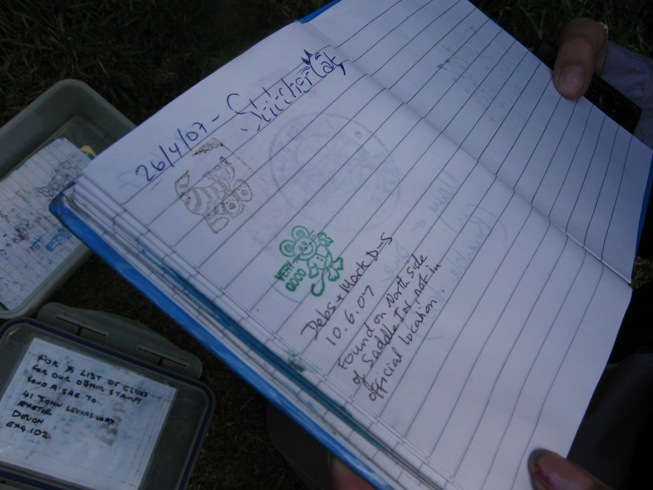 Over the years, enthusiastic “letterboxers” have hidden a number of weatherproof boxes around Dartmoor, in which a notebook and an ink stamp are stored. 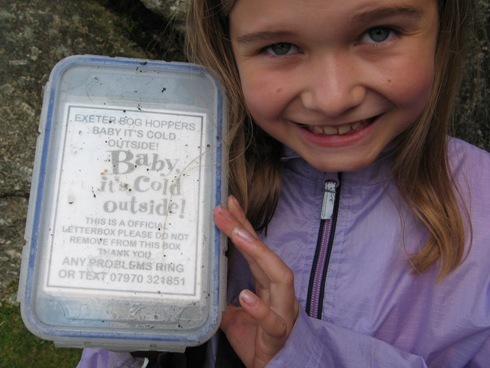 (It’s a kind of low-tech geocaching) The idea is that you seek out these boxes – there are estimated to be 1000+ on Dartmoor (some better than others – much like the Blogosphere!). On finding one, you write a note in the book, and leave your own personalised “stamp” in their notebook. You then stamp your own notebook with their stamp, and hide the box for the next person to find. Kind of like writing on someone’s wall in FaceBook, and exchanging invitations in LinkedIn? If you are the owner of a letterbox, you return periodically to see who has discovered your box, read the messages, and (I guess!) bask in an inner glow that can only come from knowing that a number of complete strangers have written encouraging messages to you. Sounds a bit like MySpace? The official “rules” for letterboxing preclude just anyone leaving their own box – no, you have to prove that you are a responsible and dedicated letterboxer by first collecting 100 stamps in your notebook and having these validated. Then, you can hide your box, and have clues to its location officially added to the official list of official letterboxes. In practice of course, people are far too impetuous to collect all 100 before hiding their own boxes, so a two-tier system of “official” and “unofficial” boxes has emerged, with official boxes clearly marked with their “authority”. Letterbox Technorati and Social bookmarking? Print – Books – I’m one of those people who is good at starting books, but less good at finishing them. (and even worse at knuckling down and writing them!) As a result, I enjoy books that I can dip into more than those which need to be read sequentially. 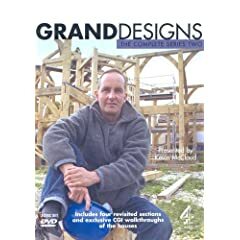 You can browse my bookshelves at Librarything.com. I’m enjoying “Watching the English” at the moment, in which anthropologist Kate Fox explores and exposes the unsaid nuances which make the “English” so difficult to understand! Freakonomics was fun too. I’ll dip into Ed Schein, Bill Jensen and John Kotter, and them get my bearings with Rob Parson’s “The heart of Success – how to make in it business without losing it in life”. Out of the work themes, I enjoy John Ortberg, Rick Warren and Philip Yancey’s perspectives on real-world Christianity. Give me some free time by a pool or on a beach, and a Grisham novel will keep me entertained. Oh, and you’ll find Jeremy Clarkson in the bathroom! Print – Magazines/Journals – KM Review and Inside Knowledge, HBR (Borrowing Geoff’s copy!) and occasionally Fast Company. Print – Newspapers – Guardian and Independent, but new more generally through Google News – so I can and do end up reading anything from Al Jazeera to the New York Times to keep a broader perspective. The Web – Google as a starting point. Wikipedia for a more focused result, the blogosphere for a playground mix of current opinions, gems and rants, aided by Technorati. Flickr for some fantastic images for presentations, Worth1000.com for more creative ones, YouTube for video, needless to say and Linked-in for renewing contacts. Communication – A chat over a coffee always wins! Then email (but I haven’t succumbed to a crackberry) and Skype (occasionally from my wife downstairs! ), Mobile and txt. Audio – Radio – Radio 4 and is a great source of things I didn’t know I didn’t know, and is often my companion in the car. Melvyn Bragg is particulary mind expanding. However, after an hour or two I hop back to Virgin Radio to pretend I’m still young. Audio & Video – Films/Movies – Favourites would be the happy ending genre of Shawshank redemption, Apollo 13, A Time to kill, but Saturday evenings I’m out-voted and end up with the likes of Nanny McPhee, Narnia High School Musical and any of the Disney-Pixar/Aardman animations. Audio & Video – Music – Pretty mainstream really – Keane, Kooks, Coldplay, The Feeling, Mika, Seal, Corrine Bailey Rae, Jack Johnson, Beautiful South, Chris Tomlin, Matt Redman, Susan Ashton… Like the rest of the world, I’m an Ipod owner (although it doubles up as a nifty voice recorder), and use a Slimplayer to stream it around the house. We visited the Tate Modern just before Christmas, drawn by the family appeal of Carsten Höller’s slides in the Turbine Hall – great fun! One thing which caught my eye was a 10 point manifesto by Fishli and Weiss (I’m sounding much more cultured here than I really am!) entitled “How to work better”. As I continue to learn from my blogging experiences, I wonder whether you could substitute the word “blog” for “work” (and perhaps “challenge” for “change“) in Fischli & Weiss’s manifesto below, and end up with some principles which were relevant for “blogging better”? The little Peer Assist animation I blogged recently has become a subject of discussion in the Coognitive Edge blog. I’ve responsed in the discussion there, but my comment hasn’t come out of quarantine yet (it’s my first one on the cognitive edge, so I guess I’m being screened), so I’ll pick up the thread here for now. I was at the Henley KM Forum yesterday, and we had an interesting side-conversation about the increasing importance of touch-typing in today’s world of multi-synchrouous chats, on-line swarms and text-based social media. Will accurate speech-to-text interfaces replace it in the future, or should my children learn touch typing as a matter of urgency? I can’t believe I’ve waited this long before starting a blog. Not quite sure why… I guess I always felt that it was a bit – well, narcissistic. But I was wrong. Wrong paradigm. It’s more like finding yourself in a party that everyone else has been invited to… about time I got out of the kitchen!